Learn about the FabFitFun starter box today! I share honest FabFitFun box reviews, spoilers, promo and coupon codes + FabFitFun add ons info for 2019. There are a lot of FabFitFun box reviews on the internet. Some of them are better than others. I’ve been a member for nearly two years now, and am happy to offer honest FabFitFun reviews. I’ll cover the FabFitFun starter box, monthly box, and annual subscription; as well as the pros, cons, ins, and outs of FabFitFun. Plus I’ll even share a FabFitFun promo code below. 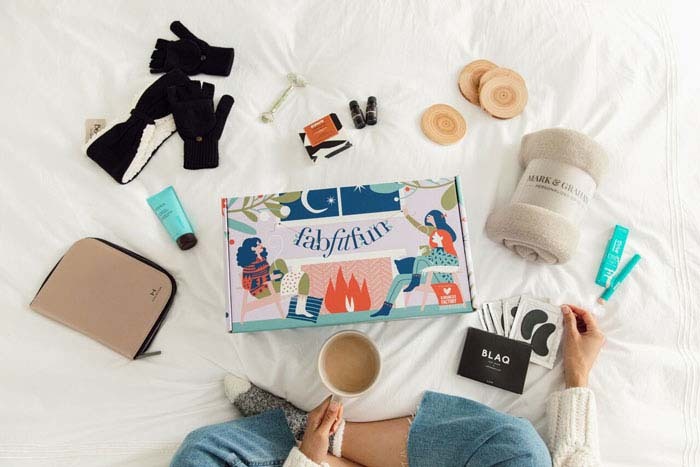 FabFitFun is a seasonal women’s subscription box filled with 8-10 full-sized, premium products valued at over $200. The boxes ship seasonally in December, March, June, and September. You can purchase a single seasonal box, or an annual subscription at a reduced rate. $49.99 for one seasonal box. $179.99 for an annual subscription. What’s in a FabFitFun Box? Each box includes the best in beauty, fitness, wellness, home, and everything in between. Think lotions, scrubs, makeup, scarves, bags, and more. Boxes include several products that are targeted to the season they are shipped in. For example, high end sunscreens and plush beach towels in the FabFitFun Summer Box. 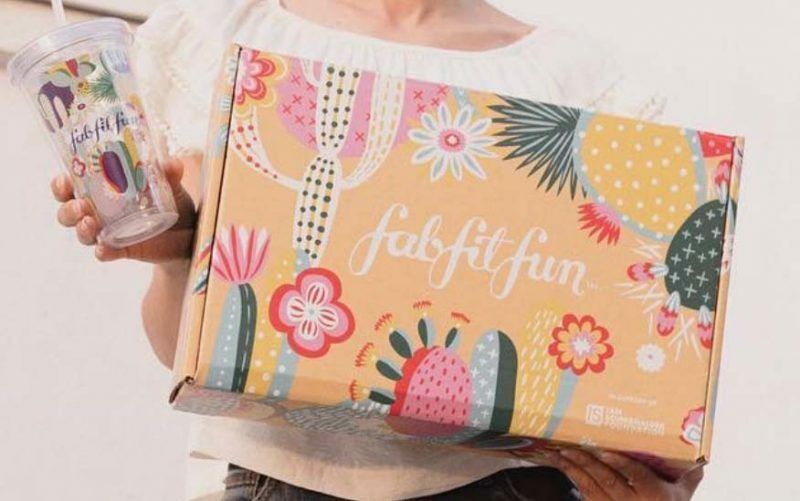 What is the FabFitFun Starter Box? The Starter Box is a mini box filled with 3 to 4 full-size, premium products. It’s a great way to try out FabFitFun at a reduced rate. This box is not always available on the FabFitFun website. However, you may see it mentioned on various blogs as bloggers often get Starter Box invites to send to their friends. What is the FabFitFun Editor’s Box? The Editor’s Box is a box you can opt to get when the seasonal box sells out. This box, also sometimes called the Welcome Box, is filled with favorite products from past seasons. This means you can join any time of the year, rather than wait for the next seasonal box. There are some super cool extras that come with FabFitFun. I definitely think that these extras add a lot of value to what is already a great deal. First of all, if you choose an annual membership you are considered a Select Member. This means that you get to select options for some of the items in your box. For example, a lipstick palette or an eye shadow palette. Sometimes you get to choose between two lipstick colors, or two jewelry pieces. I personally consider box customization a huge perk and worth the annual membership price. Summer Box customization opens on 5/10/19, at 9 am PT. There is also an Edit Sale each season where you can choose a variety of products to be shipped to you. This is an opportunity to purchase past seasons products at a significantly reduced rate (30%-70% off). Select members have early access to this sale, which makes an annual membership an even better deal. Edit Sale items sell out quickly. The Spring Edit Sale has passed. I’ll update this post when the Summer Edit Sale opens. Usually it’s after Summer boxes have shipped. FabFitFun Add-Ons are sale items that you can add to your upcoming box. They are typically between 30% and 70% off. Add-Ons ship free with your box. Summer 2019 Add-Ons open on 5/5/2019, at 9 am PT, for Select Members, and 5/12/2019, at 9 am PT, for all members. FabFitFun has an extremely active online community. Here members swap or sell items, as well as share tips for how they are using their items, among other things. If you can’t wait to get your box, some members will do an unveiling of what is in the box they received. Finally, FabFitFun has it’s very own online fitness channel called FabFitFun TV. Here you can choose workouts from well known trainers like Jillian Michaels. You can watch on your phone, laptop, and even on some TVs with the FabFitFun Fitness App. Check it out here. I am currently on my 2nd annual subscription. That’s how much I love them! I view each box as a seasonal treat to myself. It’s like Christmas four times a year. Following are items that were included in each of my past boxes. You can click on each title below, to view the items that were in each box. The Spring 2019 box includes a total of 8 items. If you are a select member, you get to choose your first 5 items. If you are not a select member, it will be a surprise. The following three items are also included in all Spring boxes. The total value of the FabFitFun Winter Box is $290-$335, depending upon selections made. You can view other prior boxes and their contents on the FFF website. You can see from the above list of boxes that FabFitFun takes a lot of time to curate boxes that include quality products. Each box also includes a magazine that covers each product in more detail. Following is a listing of the most recent boxes and their items. 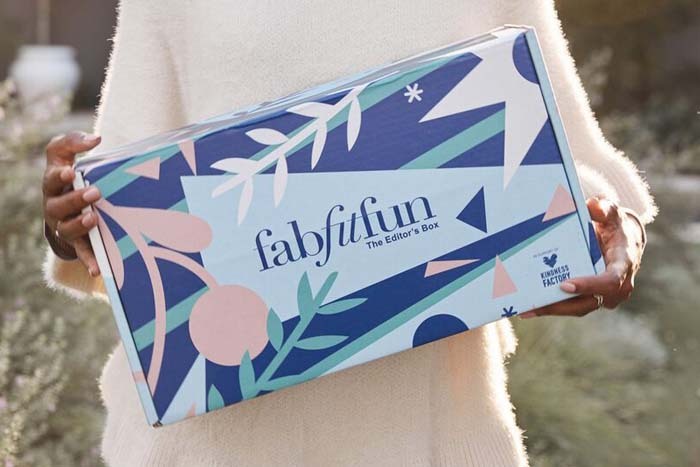 If a seasonal box sell outs, and they almost always do, FabFitFun will put out an Editor’s Box in its place. I will update this post, seasonally, when each new box is released. Summer 2019 Spoilers will be announced around May7th! Check back here often to get an idea of what will be included in the Summer FabFitFun box. Select members get to choose one of three options. They can also purchase additional items for $10 each, while supplies last. Regular members will get one of the three items. However, it will be a surprise as to which one you get. Try new (full size) products for a fraction of the cost. Select members get to choose from several products. Each box is different, no repeats. You may not like all items in the box. It might not be for you if you don’t like beauty and skin care products. As I mentioned above, FabFitFun Customer Service has always been wonderful to work with. Should you need to reach them, you can visit their contact page. Looking for a FabFitFun coupon? FabFitFun often offers promo codes for new members. Try FabFitFun Coupon Code: FAB10 to start. This code will get you $10 off of your first box. If that one doesn’t work, you can also try FabFitFun Coupon Code: FUN. Or Click Here for an automatic $10 off for new members. No code needed. I hope you’ve found this FabFitFun box review helpful. Whether you get a FabFitFun starter box, seasonal box, or annual membership; you can’t go wrong. If you are looking for more boxes like FabFitFun, check out my Causebox Reviews and GlobeIn Reviews. If you enjoyed this post, please share it with your friends using the social sharing buttons below. Enjoy the goodies in your next box! I’ve thought about signing up for this, but haven’t been sure there are products in it I would like enough to have the subscription. Thanks for all the details you provided! Shani – thanks for stopping by and commenting. Check out the FabFitFun Spoilers section in my post. It will help you decide whether you might like the products or not. And you can always sign up for a seasonal box vs an annual subscription. I’ve been seeing a lot of ads for this subscription box. It was so great to read a detailed review! This looks like a subscription I would enjoy. Christa – thanks for the comment. There are definitely a lot of FabFitFun ads out there. And sometimes it’s hard to know if things are the real deal. So far I have been happy with every box. If there’s ever a product I can’t use, I often gift it to someone else. Let me know if you try it out! I’ve thought about FabFitFun before but never committed! Honestly I don’t think I’ve ever read such an informative review. Thank you so much for providing an honest review! Brittany – thanks for the kind words. I love my FabFitFun subscription. I was an annual member for a year, stopped for a month, then signed up for another annual membership. It’s like a treat to myself each season! I love trying new beauty products, so I will definitely have to check this out! A couple of friends of mine use it and really enjoy it. Leigh – I love trying new products too! FabFitFun is a great way to try new products that you might not have ever heard of. Plus, they are discounted steeply when you purchase a box. Let me know if you try it out. I would love to try this – so you can’t buy just one box? you have to subscribe? (I hate comittiment LOL) A podcast I listen to is always promoting these boxes! Hey Harmony! 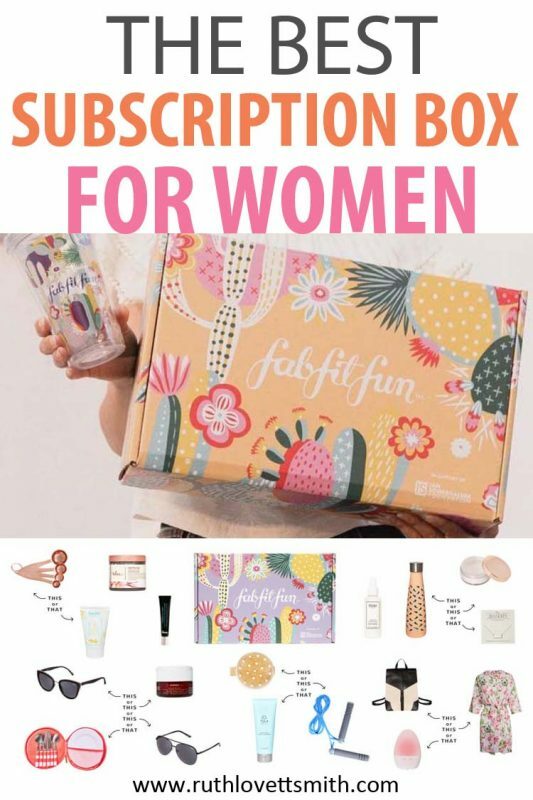 You can absolutely purchase FabFitFun boxes on a seasonal basis. It’s just a bit cheaper, and there are more perks, for annual members. If you are unsure, but interested in trying it out; a one time purchase might be the best option for you. That way you can see what is in the box, before it’s revealed. I update this post often, so check back and see if there is a particular seasonal box that you like.